The kind of photography I do tries to add visual and textual dimensions to the urgent questions that confront mankind. I want my images to ask “how will animals, like these Adelie penguins packing against each other on a frozen ledge, will cope with a rapidly changing planet?”. 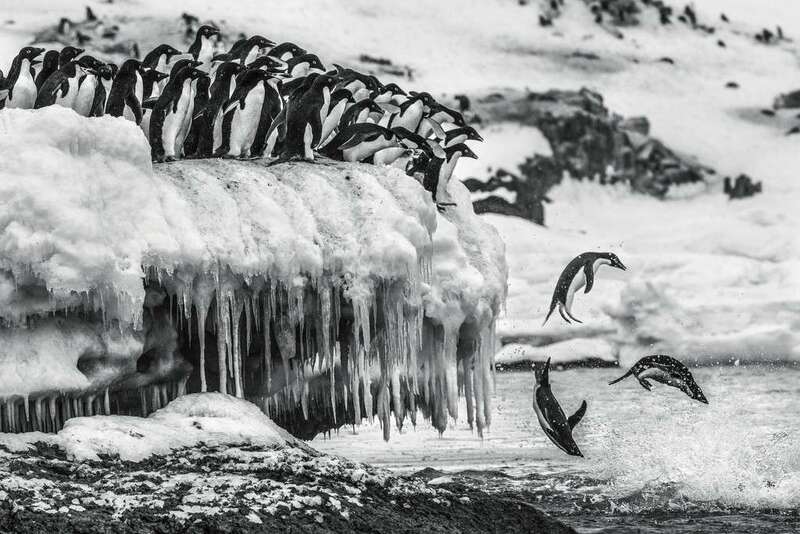 Carefully assessing the water to ensure no predators are present, the first penguins jumps and the others quickly follow, like dominoes.